It´s a known fact: pregnant women get hungry, often. It is less known that some nursing mamas feel like they could it a horse in the first weeks or months of breastfeeding (in my case used to thirst). With this simple snacking plan you will make sure that you don´t go straight after the pizza leftovers whenever you feel your stomach grumbling, and more importantly, that your baby’s nutritional needs will be easily fulfilled as well as yours, at least for the next hour! Start by drinking a glass of water. If it´s winter and you prefer something warm, you can have a cup of herbal tea (caffeine free) instead. Have a piece of fruit (not juice) or a vegetable portion, like carrot or celery sticks. Best if seasonal and organic, but any fresh fruit or vegetable will do. Here you have to make sure what you eat is really healthy, so keep the usual baddies to a minimum: white sugar, refined cereals, saturated fats, too much salt, additives… Foods with a low glycemic index will make you feel full and strong for longer. A glass of skimmed milk or veggie drink like soya, rice, oatmeal or almond milk. Delicious with Weetabix and honey. If by now you are full, leave step 4 for another time. Believe me, you will be rooting for a bite again. If you are still hungry, now is the time to go for the brownies. You already have had some water, fruit and a healthy snack, so you will not feel as hungry as in the beginning. Enjoy!! A good diet begins when you are food shopping, so always make a list (and stick to it) and don´t go to the supermarket with an empty stomach. Take some water. a piece of fruit and a healthy snack (steps 1,2 and 3, basically) when you are on the go or at work, so when temptation burns you are always ready. What do think about this little snacking plan? Would you follow it? To harsh, too indulging or just right in your view? I have a picky eater. If you have one at home, you know what I mean. He likes playing ball, watching cows and kissing babies, but food is not a priority for him. No interest, zero. He still eats pureed food as a main meal, so I try to make these as nutritious as I can. How? 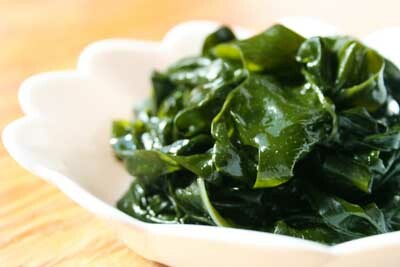 I just add quinoa and seaweed (I use wakame and kombu) to the vegetables when cooking. They have plenty of vitamins, minerals and healthy protein. Is making your kid interested in food a challenge for you too? Any great tips to share? I would be so grateful to hear them!